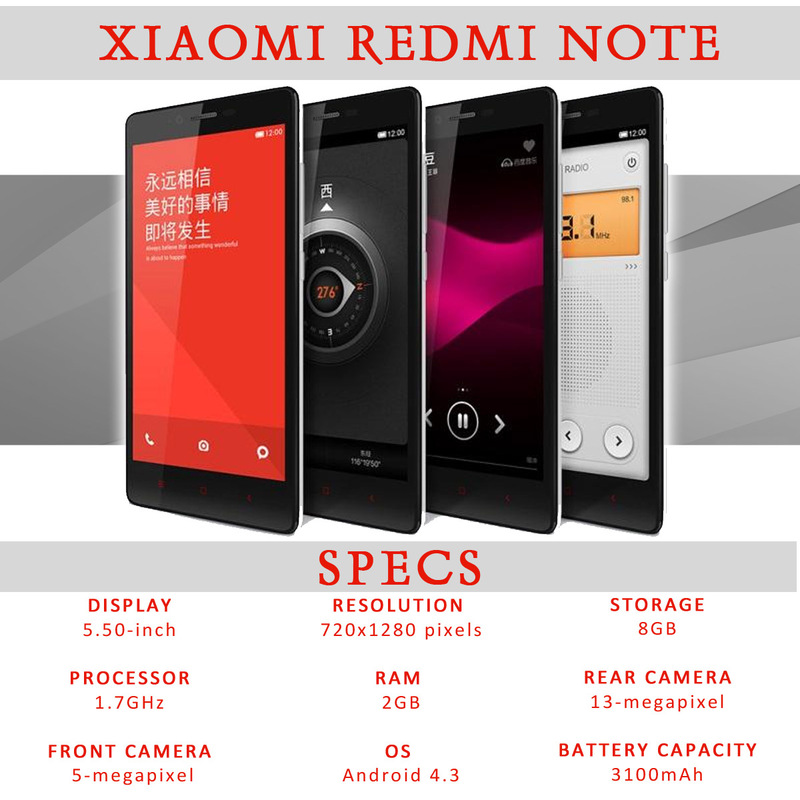 After the success of the Xiaomi Redmi 1S, Xiaomi again will make a new history by launching their latest innovation the Xiaomi Redmi Note that will be start selling on December 2 2014. The Chinese company on Thursday starts a competition on their Facebook Page for Indian consumers where the company says. “Want to win a Redmi Note?” they also publish to ask their fans to share the post, tag a friend and submit an image, that can be a design or drawing by the users. Company published “Show us your creative side and win a Redmi Note from Mi!” this contest finish last November 21. And a bonus giveaway, the company guarantees its fans maximum 3 winners, they mentioned “We’ll select one more winner with each 500 extra shares of this post – max 3 winners”. Advance Christmas Gift for the winner. Remarkably, Xiaomi began tease the release of the Redmi Note, the same way they did for the Mi 3 and Redmi 1S. Tech experts speculates that “Redmi Note would be sold starting December 2 as Xiaomi and Flipkart sells Mi smartphones via flash sale every Tuesday at 2pm, where you need to be registered to be able to participate for the same. We are quite confident of the release date.” (I personally agree on this, base on the quick sale of the Redmi 1S) some consumer did not get Redmi 1S that turn into a arguments and considering the this complaints. Hugo Barra the Xiaomi Vice President of International Operations revealed that the Redmi Note is arriving to India next. Chinese mobile phone brand had initially displayed the Redmi Note back in July from the Mi 3 released in India. The company at that time stated that Redmi Note has been scheduled for August entry into the Indian market, even though this never happen. So mark your calendar and wait for the launch of this Xiaomi Redmi Note. It’s a quite interesting about the specs and the price in India is about Rs. 8,999. Previous postAffordable Smartphone Samsung Galaxy Alpha Leaked?